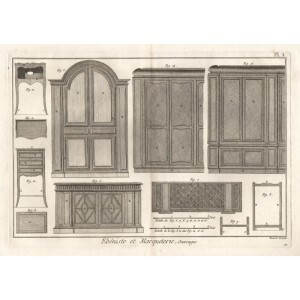 From a smaller size edition of Diderot and d'Alembert's Encyclopedie (1751-1780). 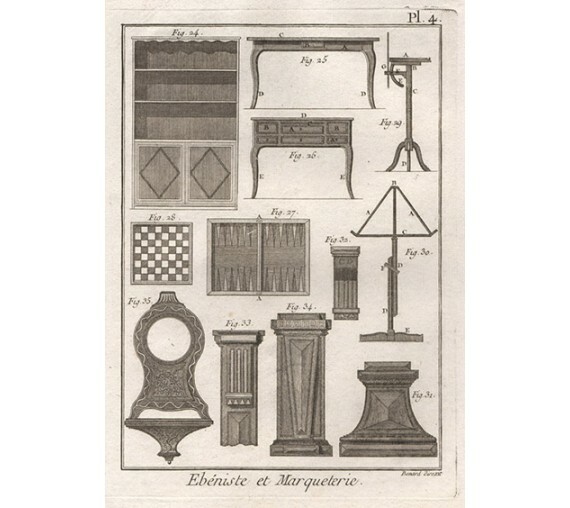 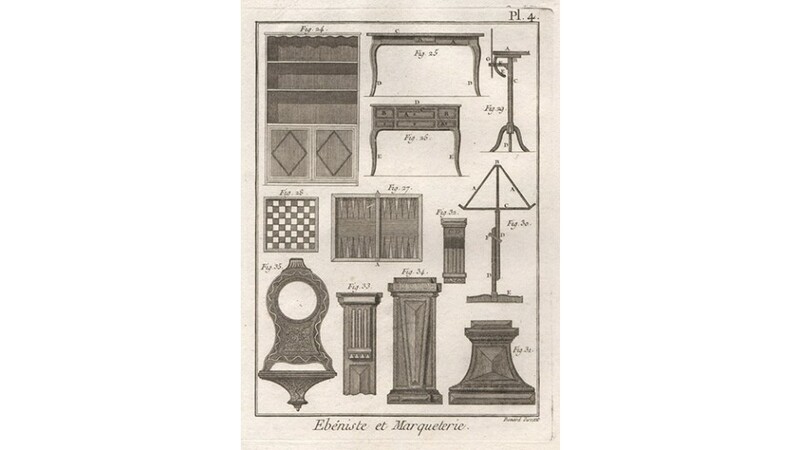 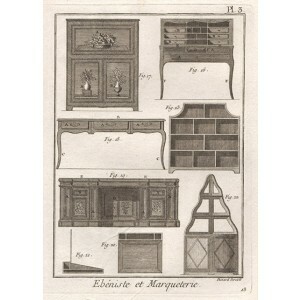 Depicts examples of cabinet-making and marquetery. 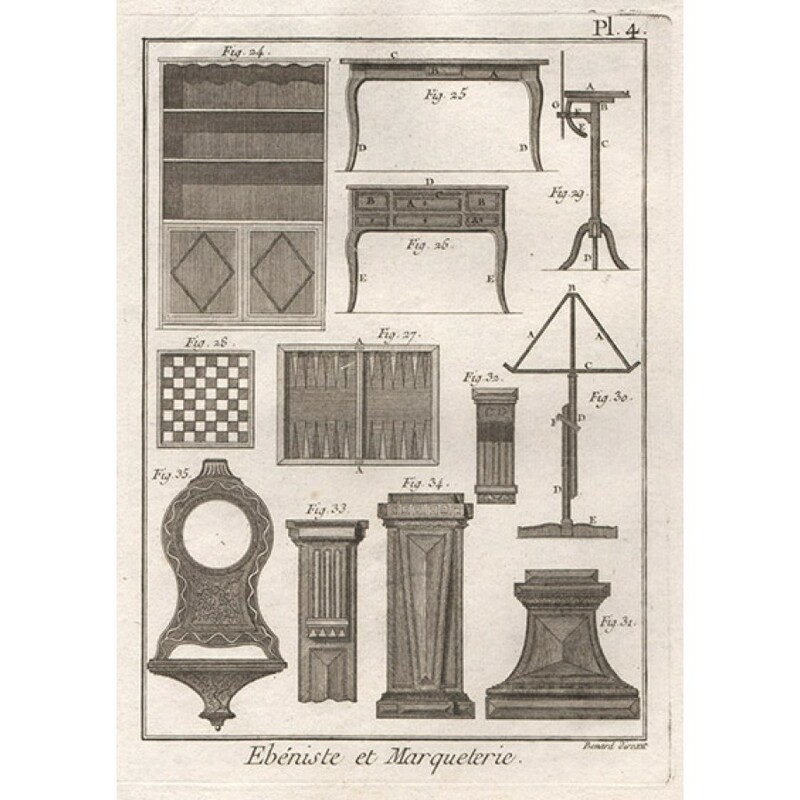 Sequence of examples of workmanship.Trimmed just within platemark on left hand side.